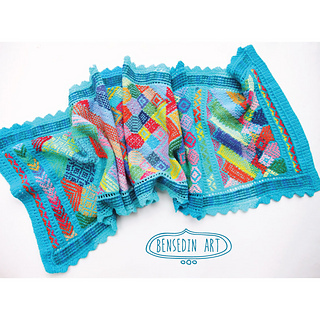 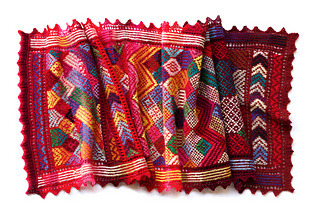 A colorful rectangle - small shawl/large scarf. 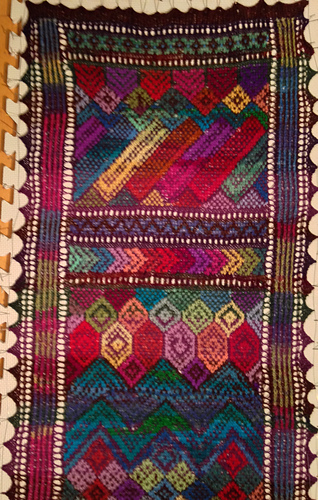 The pattern is inspired by Kurdish textiles and by abstract painting - some motifs recur throughout the pattern. 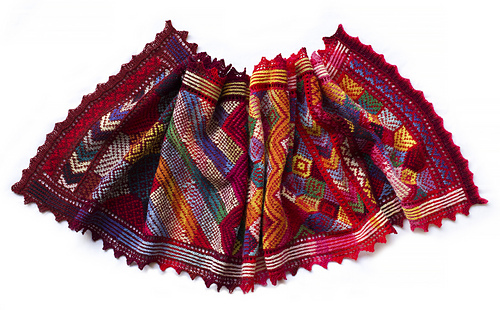 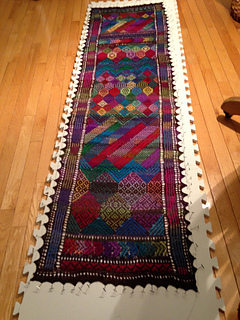 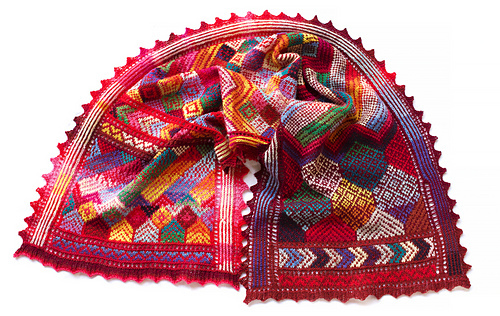 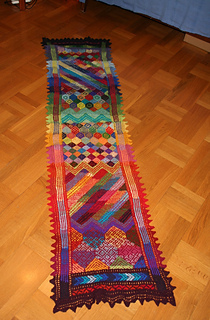 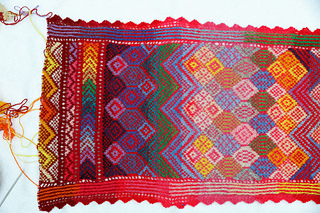 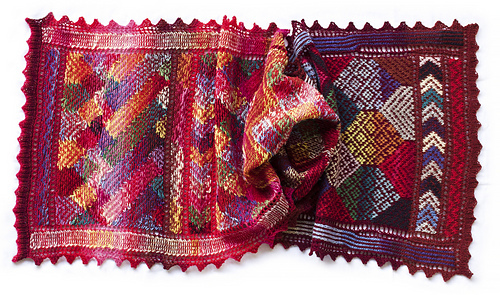 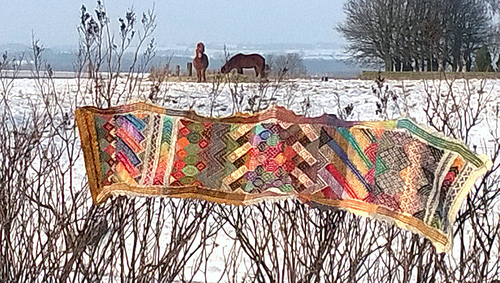 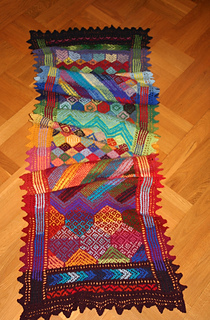 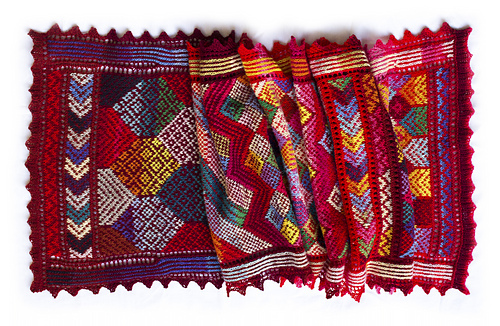 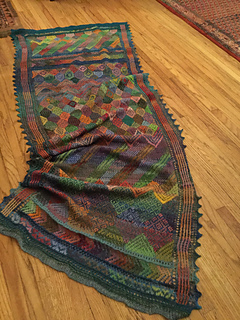 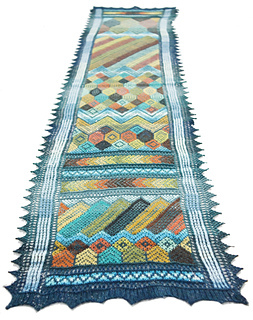 Kurdish Shawl is also available as part of the Five Colorwork Shawls eBook. 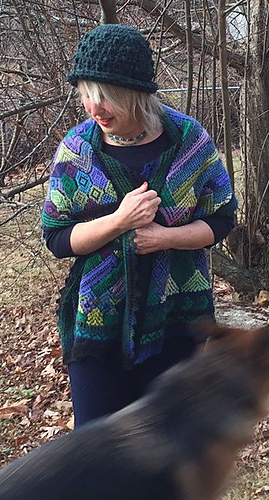 This pattern was originally published in five instalments as a mystery knit-along pattern in November and December 2015. 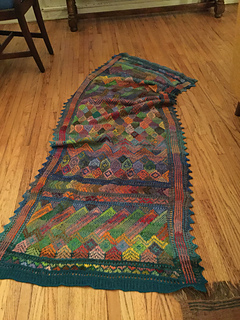 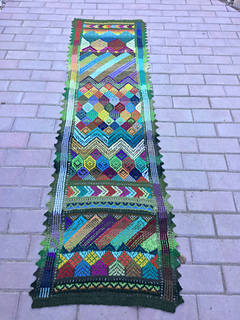 There is a thread for the KAL here. 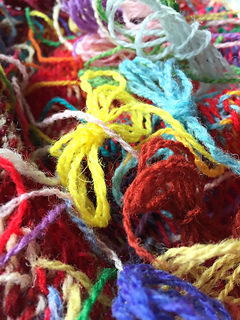 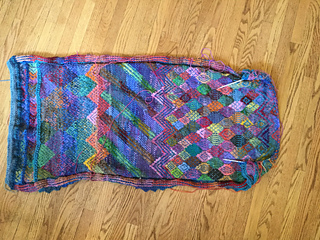 Level: (very) difficult - techniques include lace knitting, stranding, and intarsia with trapping, lots of colors and ends to weave in. 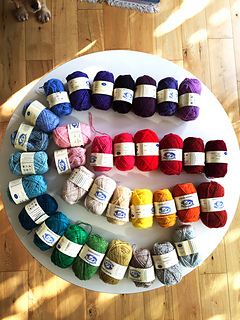 Choose your MC shades and assemble a collection of contrasting and harmonizing odds and ends for CCs - it’s a good project for using up small quantities of leftover yarn. 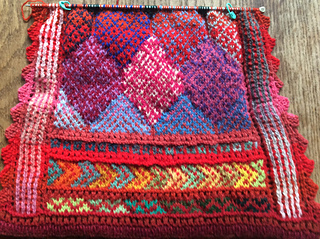 The intarsia areas can be treated like paint daubs - splicing different shades together like hastily mixed paint, or combining shades of related colors, for example yellow, orange and red. 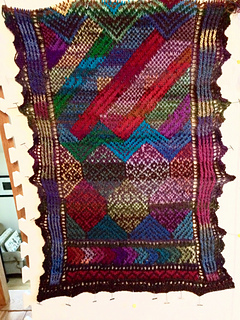 For some motifs I spliced together multiple lengths of related shades, sometimes including very short pieces. 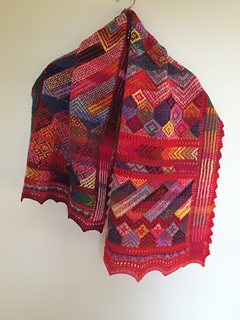 The sample shawl has numerous little mistakes in the stranded motifs (I welcomed them!) 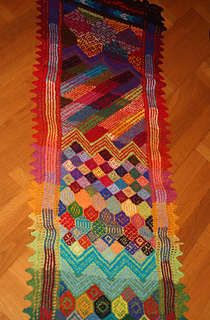 so some details of the final pattern are slightly different from the version pictured. 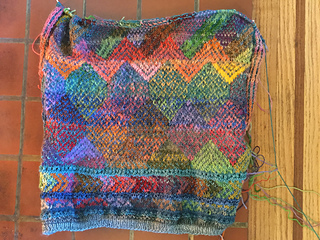 The pdf contains lots of charts, short written instructions commenting on the charts, and a phototutorial for splicing yarn ends.